Apple had very few relationships compared to Abigail. Most of the lessons she learned about relationship were from Abigail’s many failed ones. Since the day they met, Abigail has been claiming of finally finding “ the one”. Apple attributed this to Abigail fondness of reading romance novels during her teen age years, books she stumbled upon on her mother’s shelf. Those Mills and Booms and Harlequin Romances have filled Abigail’s head with skewed ideas about love. 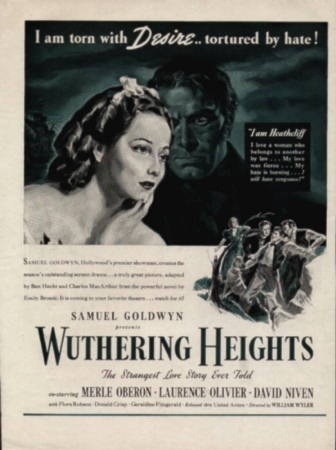 While she on the other hand had been fond of reading English classic novels and had grown a little bit cynical about love especially after reading Wuthering Heights where she decided Cathy, the heroine of the book was a little too neurotic for her liking. Abigail absolutely loved Cathy’s character when she told her about the book. After reading it she went on for days as if she was Cathy’s reincarnation. Apple had always preferred Jane Eyre and Elizabeth Bennet among the heroines in classic English novels when it comes to love. Jane Eyre and Elizabeth were subdued and dignified unlike the overtly passionate Cathy, although she still slightly disapproved of their weakness for charming aristocrats. Apple and Abigail were sitting in a cafe late that night. Apple was consoling her distraught friend who recently found out through Facebook that her boyfriend Oliver was cheating on her. She saw him kissing another woman in bar on one of her friend’s photo in Facebook. A snapshot caught the moment while a group of Abigail’s female friends were posing for the photo. Although his face was not recognizable, Abigail could tell it was him. “Maybe he was just drunk.” Apple said earlier when Abigail lamented what happened. “Why did Anna post that photo before telling you Oliver was in it?” Apple asked, frowning. “I guess Anna did not notice that it was him making out with someone or she wouldn’t have posted it. Anna did not remember seeing him that night. But I recognize the t-shirt he was wearing instantly. I gave it to him”. Abigail wailed. “Yes! He said he wants to start seeing other women.” Abigail wiped her tears. “You’ll get over him soon, I am sure.” Apple said, patting Abigail’s hand. “You said the same thing about Bryan. Yet, you started going out with Oliver only after a few days of breaking up with him.” Bryan was Abigail’s last boyfriend before Oliver. “Unlike you, I don’t look at the world in rose tinted glasses.” Apple retorted, losing patience with Abigail who seemed to have learned less from her own failed relationships.